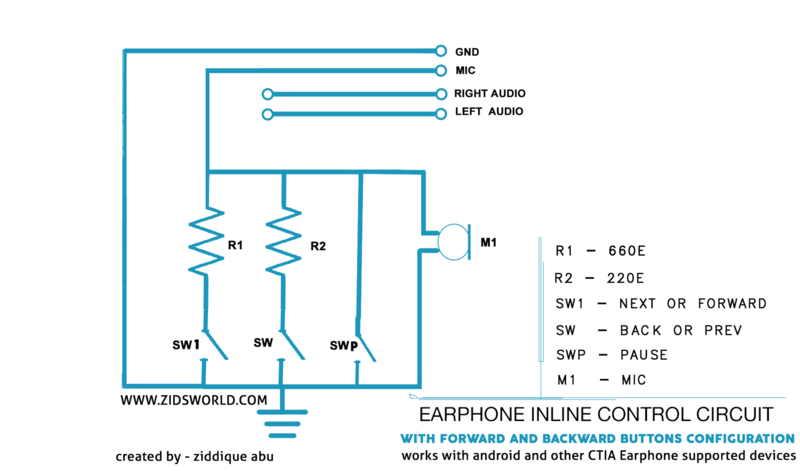 Here’s the circuit for android or other CTIA standards earphone supported devices earphones inline music control, the next,prev,vol up, and vol down functions acquired using few resistors that connected from MIC to GND through push buttons. 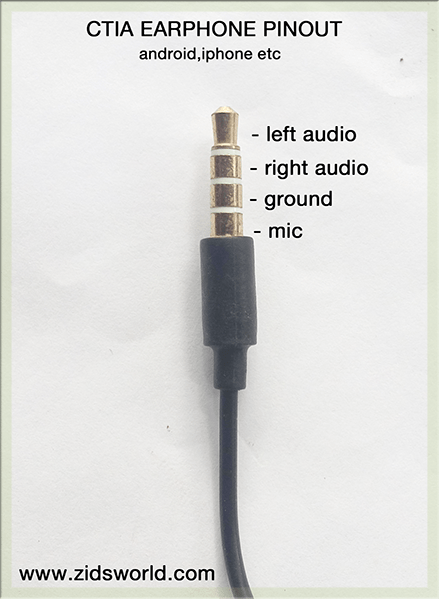 This circuit works with android and apple earphones and other CTIA standards earphones. What this circuit can do? This circuit works with Android,iphone devices. it can be integrated with your current earphone that doesn’t have next forward functions, so you get music control functions on it.